In my now 10+ years in the car scene, I’ve seen people come and go as quickly as trends in the import car culture. Things have changed tremendously from my young beginnings in this scene. Social media has jaded many people with worrying about followers and “likes”. Many people are building cars for the wrong reasons to win shows and gain attention from people just to up their social media presence. Quite honestly, it has made people seem very “fake” in person. It has become harder to translate between legitimate friendships from genuine people and people building cars for the wrong reasons. But, sometimes you come across people who really speak from their heart and soul. Not only that, it translates onto their build. Satu Basanow is one of those people who has something that goes beyond just a wonderfully built car. Humble, funny, sarcastic and just an awesome person to be around, The Goons have welcomed him as one of our own. Many people who have come to know him have noticed this as well. 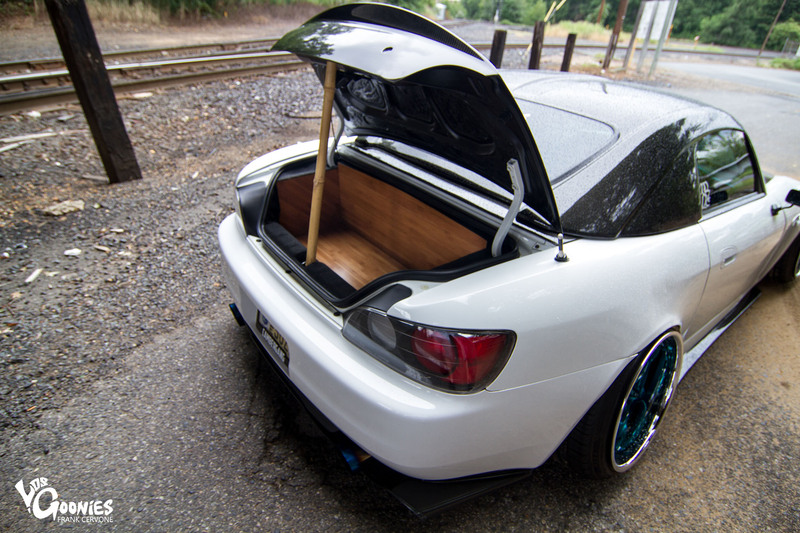 His AP1 S2000 build has easily been one of the most recognizable builds for 2014 point blank period. This car has become a “social media darling”, and he still stays humble about it. The car has seen many stages. 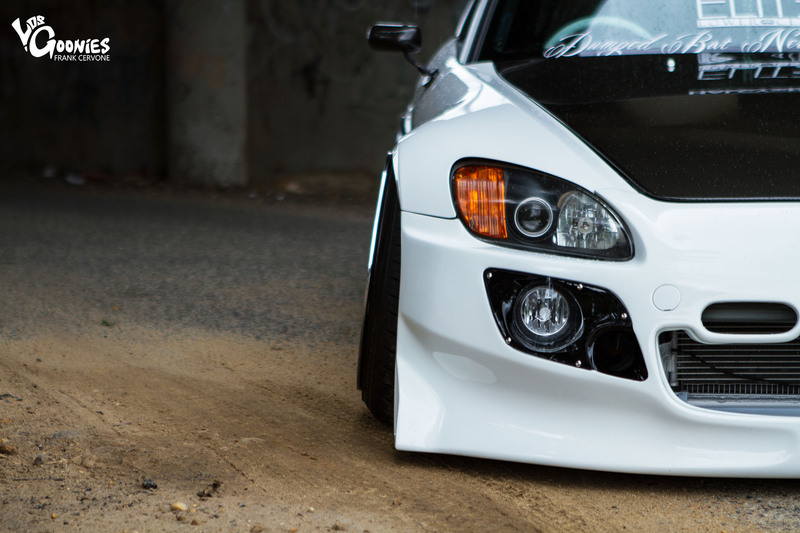 From bone stock to modified, this car has had drastic changes in each of its stages. The car fits the owner perfectly too. Satu is extremely creative and expressive. He’s the type to shoot for the stars when someone tells him something is impossible. He comes up with so many crazy ideas and this car shows that in each and every way. Whats even better is that he built this car as you see now with his own hands. That’s right people. He knew that only his hands could execute his imagination, so he took it upon himself late last year to create what you see now. 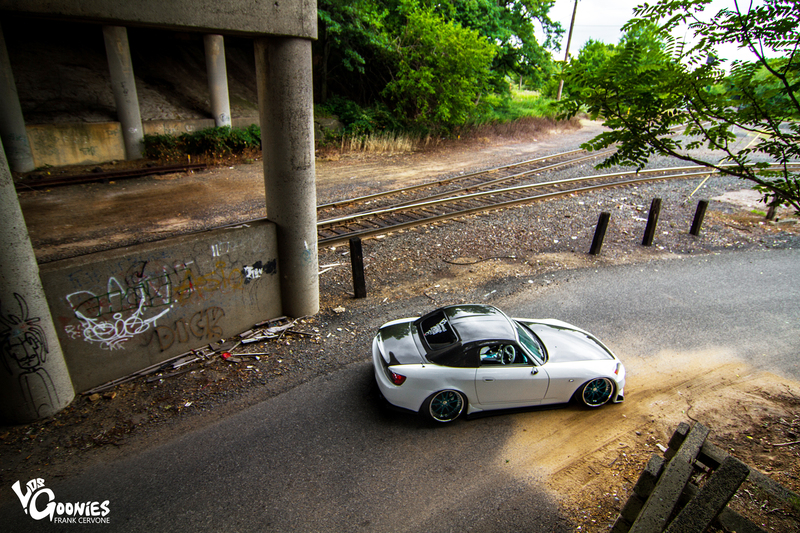 Here in the northeast tri-state, S2000’s are becoming a dime and dozen, so he made sure he did what many would never do. Starting with chopping the front end off, and throwing on a full RHD front clip from Japan. You read correct folks. Satu chopped up his pride and joy and converted it to RHD. Crazy right? The attention to detail of the job is second to none. The car still drives perfectly. He didn’t just stop there. The interior work that was done is imacculate. The white diamond plating pattern in the seats and interior panels add some classy style to the legendary sports car. Finishing things off is a crazy hot rod style Downstar shiftknob and Avenue Performance white painted wood steering wheel. Ties it all in nicely. He didn’t just stop there. Satu went onto the engine and did his own shave and plating job, tucking just about all the wires in the bay perfectly. 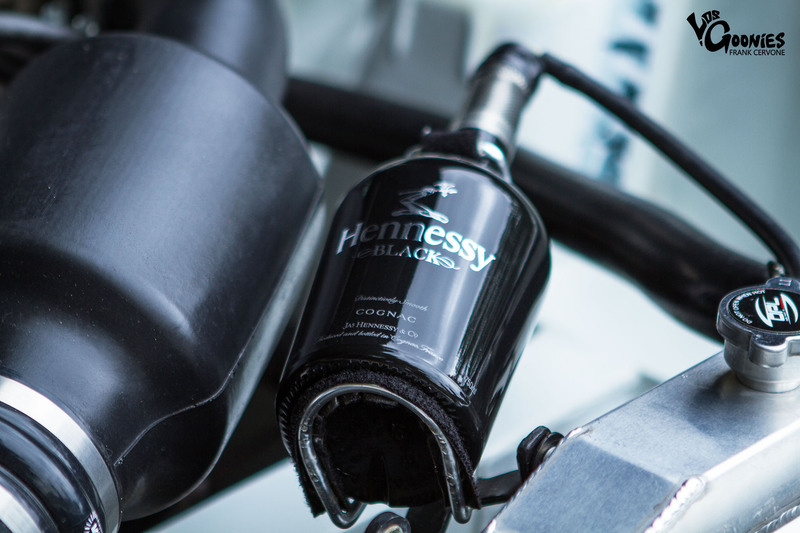 The engine bay looks smooth, even adding a Hennessey bottle as the coolant overflow tank and a carbon fiber Comptech cold air intake to add some nice details. Aside from the engine and interior, one of the most noticeable things exterior wise is these discontinued custom built Work Bersaglios. One of Work’s most overlooked wheels in history has found its way onto a S2000. What Satu wanted to do was marry crazy VIP style and race details onto the classic S2000 sports car. So with that in mind, he went crazy aggressive with a 18×11 +19 (F) & 18×12 +10 (R) on the STOCK metal. Rolled and pulled fenders only. 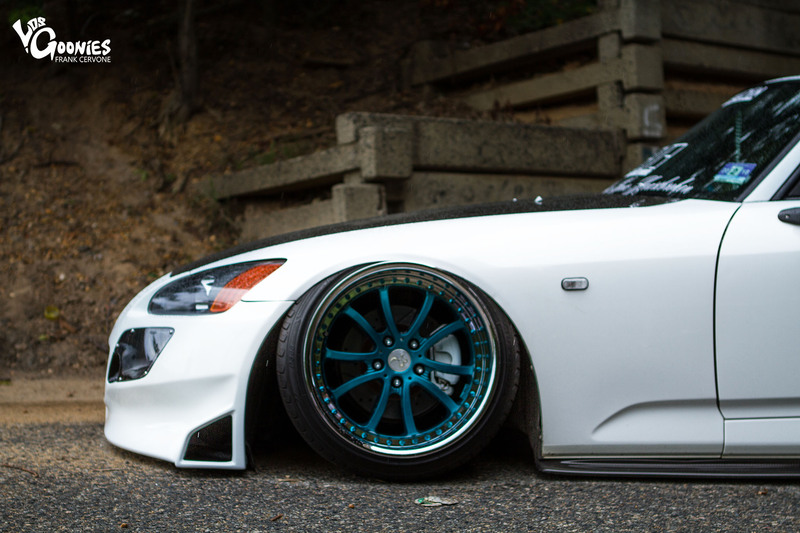 Talk about fitment. Obviously with those type of rollers, the car has to sit right, especially with his motto and brand being “Dumped and Never Heartbroken“, so Satu made the call to Airtekk for their airride struts with damper control, combined with Airlift autopilot v2 management. Combined with the SPC adjustable ball joints to tuck those massive wheels as much under the car as possible. Finishing off the exterior was a bunch of goodies from the guys at Shine Auto Project, hooking him up with their Spoon style front bumper, FD3S side diffusers, and rear diffuser. APR mirrors as well as a CF Hood, hardtop, duckbill trunk continue with the race look and the shaved emblems add to the clean VIP style. This car just oozes an undeniable presence. Either you love it or hate it, but it will grab your attention for you to make the decision. Another crazy fact about this car is that it’s daily driven. Satu literally commutes to work everyday in this thing. He has a strict belief that if a car is truly built to your standards, you’ll drive it everywhere. And he does exactly just that. He’ll drive out the state for shows and meets, come back home and commute to work. He’s just that crazy. St800 smart system keyless digital push start. 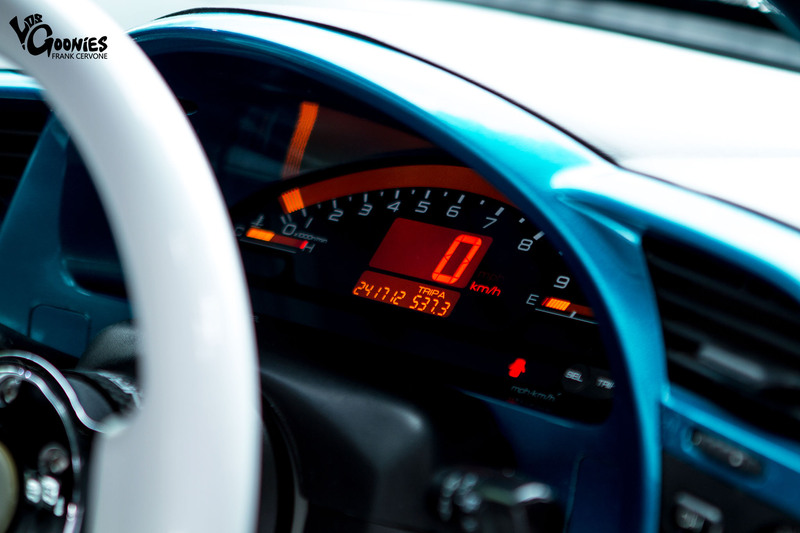 Thank you to Satu for giving us the time to feature his car, and thank you to all for reading.